Becta has announced Inner-city comprehensive Broadgreen International School in Liverpool and independent Prospect House School in Putney, London as the top two schools in the UK when it comes to the best use of technology. I think it's worth reading the article below, and going to the Awards website (see below), in order to pick up some more ideas about what constitutes great use of ICT in schools. The prestigious accolade of ‘Best Whole School’ is given to only one secondary (high) and one primary (elementary)school each year. The two schools beat more than 100 other schools across the country to collect their awards at Bristol’s newest science venue, At-Bristol, last night. "People ask: how can I use this application in my teaching? That’s starting with the technology and hoping it will lead to the education bit. A better question is: what applications can I use to help my students achieve X? That starts with the education and leads on to the technology. I think there’s a reason our area of expertise is sometimes called ‘educational technology’ as opposed to ‘technological education’!" Broadgreen International School impressed the judges with its futuristic technology centre and use of ICT to involve the wider community in every aspect of the school’s life including its deaf resource base and a lively ‘silver surfers’ group. The school’s Deaf Resource Base was able to create an online British sign language version of ‘Living in the Blitz’ for history lessons. It is fully accessible by deaf pupils, allowing them to work alongside and complete the same work as hearing pupils. The school also has ‘Silver Surfers’ groups for older members of the community learning to use technology. Age is no barrier and Les, an original member of the group who is ninety next birthday, regularly communicates via webcam and has his own blog about his war time experiences. I would certainly agree with all this, and made that last point myself in the article 10 Ways to Become an Inspirational Teacher. The SRF is something I very much go along with too. It's comprehensive, and at the same time generic enough to incorporate as-yet-uninvented technology. 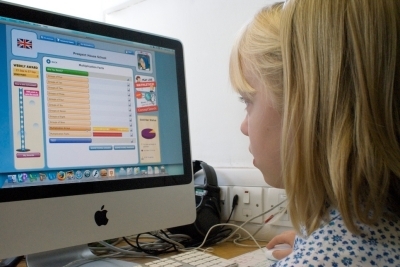 Prospect House has students who are confident, enthusiastic and independent in their use of computers, mobile devices, digital cameras and virtual learning platforms across the entire curriculum. From reviewing their sporting performances on screen to creating animations in art lessons, technology is used in every lesson to help students achieve more. It sounds like the school has successfully embedded the use ICT right across the curriculum. The school also posts podcasts of lessons on its Virtual Learning Environment, so that parents can see how, say, long division is taught. This has helped to raise parental involvement in their children's work. When reflecting on why the school won the award, Dianne Barratt, the Headmistress, says it is a combination of a shared vision by the Senior Leadership Team, including the school governors combined with an enthusiastic staff, all of whom are committed to developing their practice with the aid of technology. For more information on the Awards, please visit the Winners 2009 website, where you will find details of other winners, as well as further information about each one along with short videos. On a personal level, I was delighted to learn that The Havering ICT support service was a joint winner in the Support for Schools section. Thanks to Kate Brennan of Shiny Red for information, case studies and photos. I’ve amended the written stuff (not the photos!) with permission. Thanks also to Dave Smith of Havering for additional information. Read Dave’s Havering blog for more ICT-related news. The ICT Excellence Awards is an awards scheme open to all schools which aims to identify and reward excellence in Information & Communications Technology (ICT). The awards acknowledge UK schools approaching technology in outstanding or innovative ways. See also the Next Generation Learning website.